Hanoi (VNA) – Recent heavy rains and flash floods have taken the lives of 26 people and left 15 others missing and 27 injured in the northern mountainous provinces. The victims are from Yen Bai, Son La, Lai Chau, Dien Bien and Cao Bang, according to the Central Steering Committee for Natural Disaster Prevention and Control. 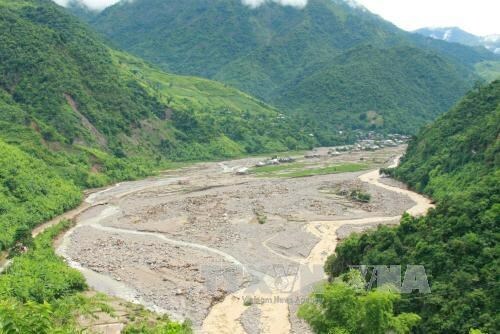 The intense floods also blew away over 25,000 cubic metres of national roads, 117,706 cubic metres of provincial and district roads; damaged 145 irrigation works and 2,072 metres of river dike, causing about over 940 billion VND (41.36 million USD) in economic losses in the provinces. The Committee asked relevant agencies, and provincial and municipal steering boards for natural disaster prevention, search and rescue to continue mobilising forces and vehicles to search for the missing, help the injured and visit the families of dead victims.